Goodricke Group Ltd. is planning to explore tourism opportunities in one of its tea estates in Darjeeling where it has five gardens. “We have identified the Thurbo Tea Estate in Mirik in Darjeeling district,” Atul Asthana, GGL managing director said, adding that the company planned to refurbish an unused bungalow in the estate. Established in 1872, the Thurbo estate near Nepal is bound by orange and orchid farms and boasts of streams and rivulets, with hills and peaks in Nepal visible from the estates. “The encouraging response generated by our tea-lounge at Margaret’s Hope, another Darjeeling estate, has encouraged us to embark on this endeavour. As many visitors enquire about a staying facility, we are also considering a tourism project here,” he told The Hindu. An investment of ₹3 crore-₹4 crore is envisaged for these projects, he said. With 27 gardens in Darjeeling, Assam and Dooars, GGL closed 2017-18 with a production of 18.8 million kg. It had made up the crop loss of 0.3 million kg due to the five-month long Darjeeling garden closure (due to the Gorkha Jan Mukti separatist agitation), with a record crop in Dooars and an increased output in Assam. “More than 75% of the Assam crop was converted to good quality orthodox teas,” Mr. Asthana said. GGL also has four tea blending units (one each in Punjab and Madhya Pradesh, and two in Darjeeling), an instant tea plant and factories at all its estates. Though the firm ended 2017-18 with a profit of ₹31.7 crore (compared with ₹33.1 crore in 2016-17) on the back of higher revenues, rising production costs were areas of concern. This was flagged by chairman P.J. Field at the company’s annual general meeting here on Friday. 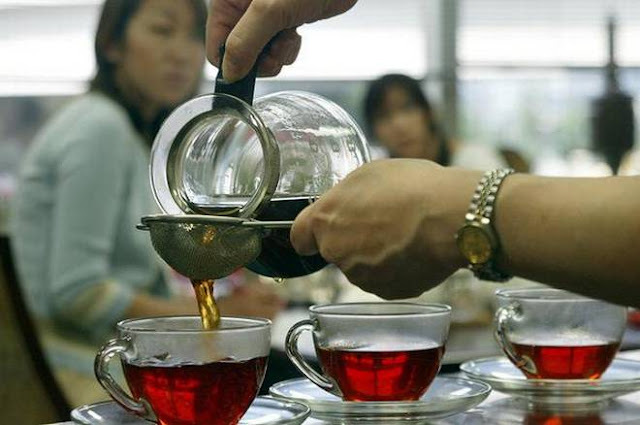 The State government has been encouraging tea companies in the organised sector to take up auxiliary projects such as horticulture and tourism to generate additional revenue.